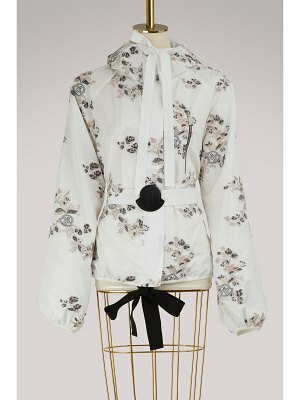 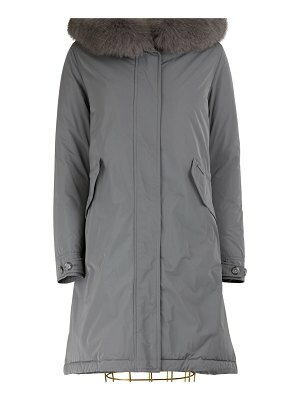 Italian designer Miuccia Prada continues to make her mark with an eclectic style featured on pieces like this Miu Miu rhinestone parka. 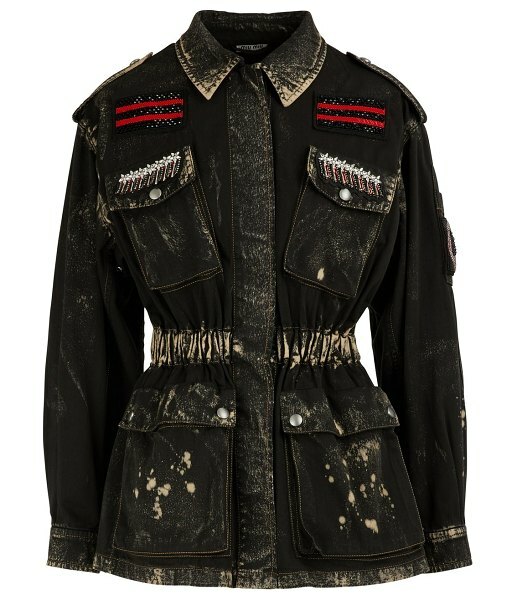 The military-inspired jacket offers four flap pockets, two of which are decorated with rhinestones. 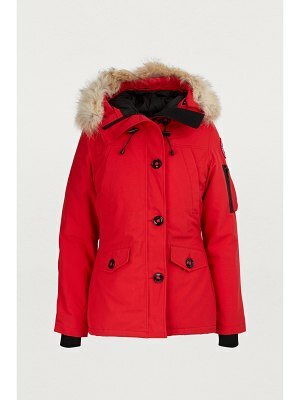 Red braids add a style reminiscent of naval officers. 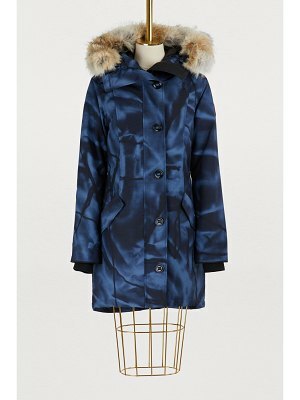 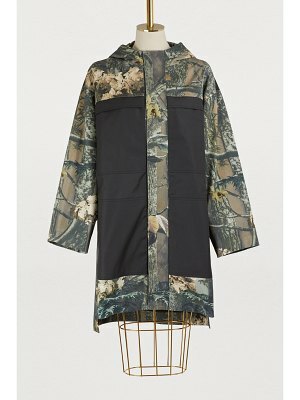 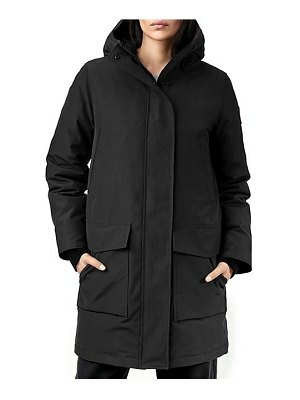 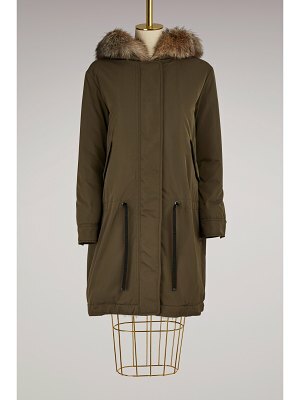 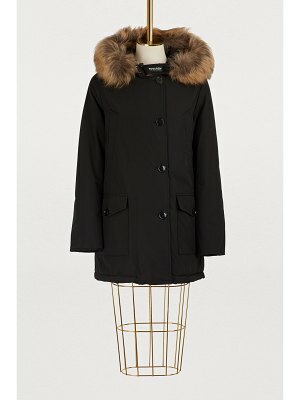 Feminize this parka with a denim miniskirt and sneakers.